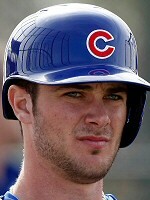 In 2006, we would have been thrilled to find out that burgeoning baseball star Kris Bryant was part Jewish. THRILLED. Over a decade ago, we would have written many fawning platitudes about our partially Hebrew Hero who slayed the ancient billy goat curse and looked destined to be one of the all-time best in the game. 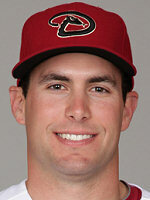 But nowadays we have the perennial MVP candidate, Paul Goldschmidt. 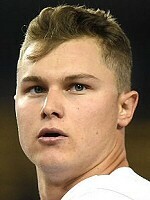 The precocious power hitter, Joc Pederson. 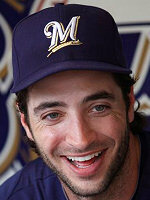 The aging but still productive, Ryan Braun. The young, talented infielder, Jason Kipnis. 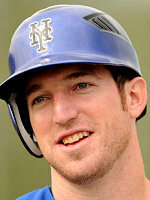 Even the occasionally useful Ike Davis. Sure, Kris Bryant is nice, but compared with all the great baseball players we currently have he's not all that exciting. So, Kris Bryant — hooray? On the other hand, though... Ryan Braun was suspended for PEDs, forever tarnishing his legacy. Paul Goldschmidt absolutely cratered last season and has shown few signs of recovering. Joc Pederson swings at everything and usually misses. 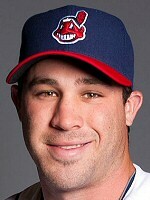 Jason Kipnis is nice, but even Indians fans wouldn't recognize him if he showed up at their bar mitzvah. And Ike Davis is still Ike Davis. So, ummmm, Kris Bryant. Hooray!